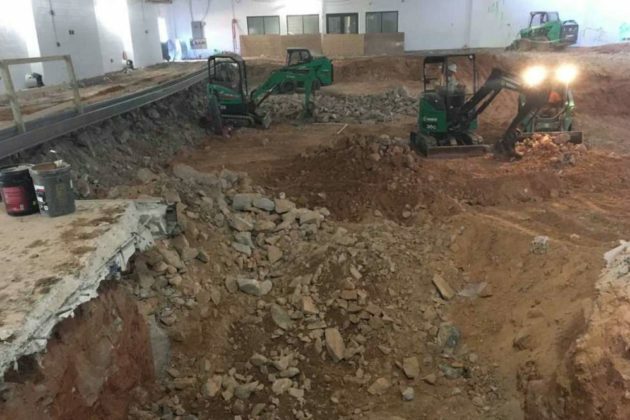 The Reston Community Center is now in its fourth month of a nine-month renovation of the Terry L. Smith Aquatics Center. Demolition of the existing pool and surrounding deck, which started in late January, finished in March, according to an update from RCC. The demolition resulted in more than eight tons of steel from the ductwork and ceiling that will get recycled. 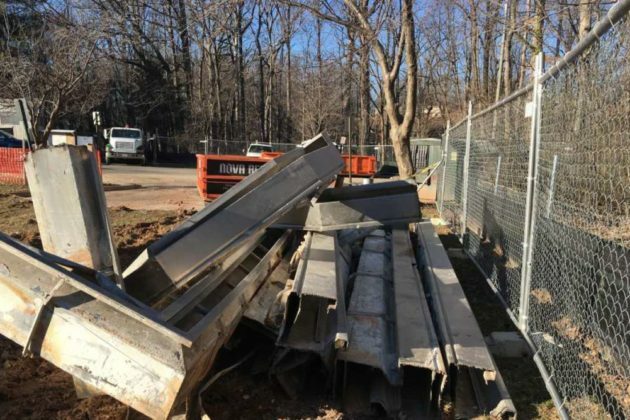 Several tons of concrete, rebar, stainless steel drains and other materials were salvaged. 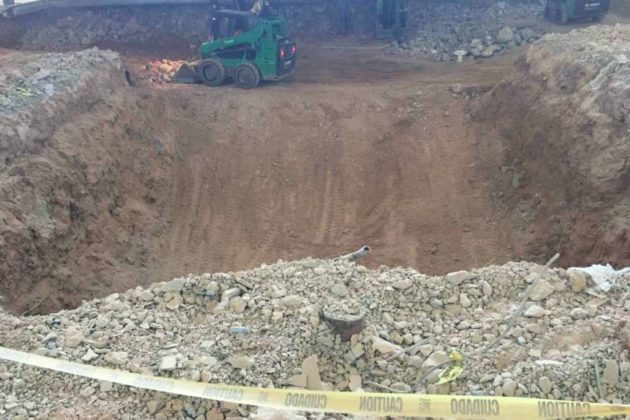 “In addition, the excavation revealed that the years-long water infiltration problems RCC experienced probably resulted from a combination of poor drainage and water leaking from the pool shell,” the April 1 update said, adding that the project will include corrective measures for the drainage issues and ensure the new pools have water impermeable shells. The 40-year-old aquatics center is getting a makeover that will add two pools — a 25-yard lap pool with zero-depth entry and a warm-water therapeutic pool — along with a new roof. The facility is slated to reopen in October.